I went home to California this summer for a couple months. It was great to see family and old friends. I also got s chance to lead some hikes in Big Basin Redwood State Park where I have been a docent for over a decade. After a few weeks, however, I began to once again crave adventure. With an old buddy, we began planning a fun trip. What to do? 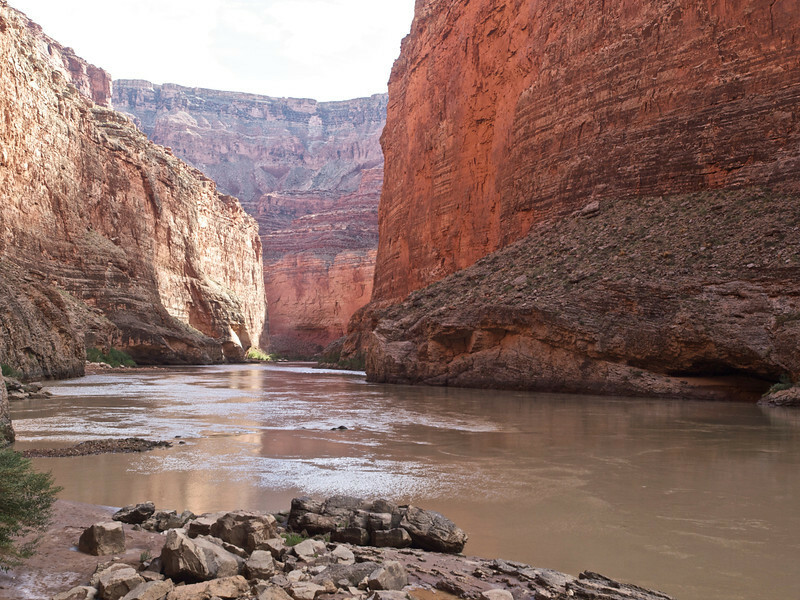 The idea leap out to raft the Grand Canyon, a mutual bucket list item. These trips are normally sold out over a year in advance, but as I researched all 16 National Park licensed providers, one had a last minute cancellation at a steep discount. We were set to head to neighboring Arizona! 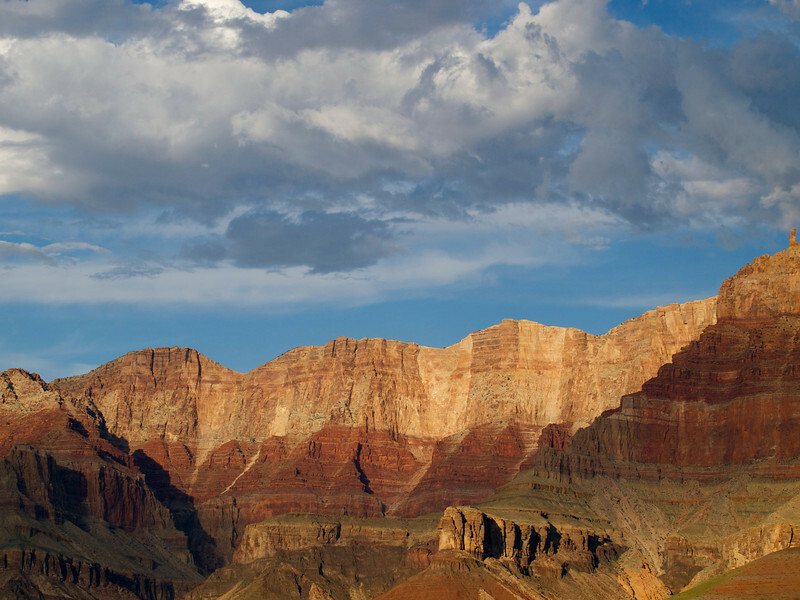 Over five million people visit Grand Canyon National Park each year. The vast majority drive to the south rim, take a few snapshots and get back in their cars. A small amount take the much longer (over 250 extra miles) drive to the less visited north rim. A much smaller group actually hike down Bright Angel or one of the other trails to the Colorado River (which btw you cannot see from the south rim). 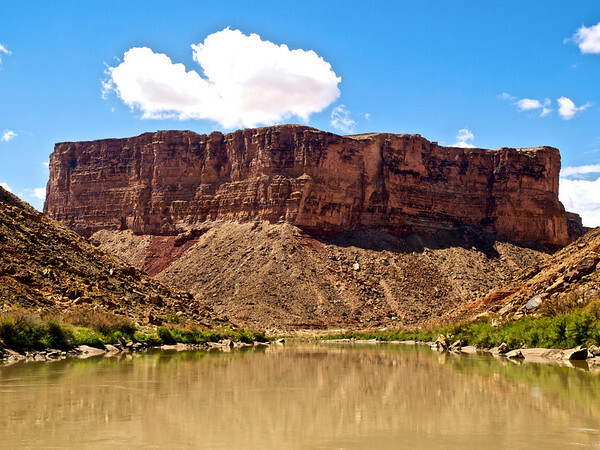 One percent of one percent actually raft the 278 miles of river. We were so lucky. 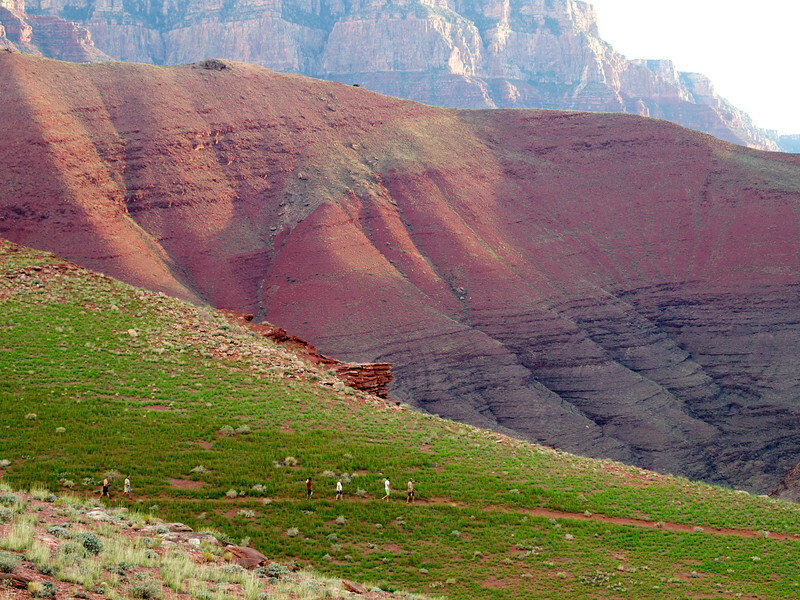 Canyoneers is the oldest provider in the canyon dating back to the 1930s and still family run. We went on a motorized raft which meant that we did not have to row constantly for 16-18 days. In fact our trip was only (an incredible and far too short) seven days. We “put in” at Lee’s Ferry. Our guides took care of everything from cooking and setting up the camp bathroom and wash stations to expertly piloting us through scores of rapids ranging up to class five. 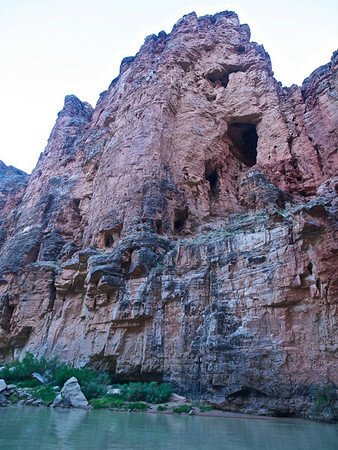 They were knowledgable about the geology and cultural anthropology of the canyon, sharing many great stories of the early inhabitants and explorations. They are fully trained emergency medical technicians as well. Our raft accommodates up to 25 passengers but we only had seven passengers plus two guides. We were so lucky! 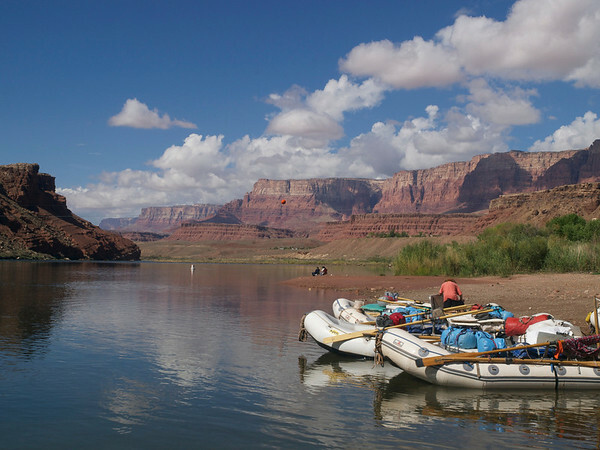 As we rafted into Marble Canyon we learned a couple quick rules. Everyone pees in the river (yes ladies). This keeps the limited beach campsites (which appear and disappear with changing water levels) pristine and odor free. All solid waste is packed out (glad that isn’t my job). The toilet is affectionately referred to as “the Duke” and is the first thing set up in each campsite, generally in a secluded spot with a beautiful view of the river and canyon. We spent three days in the Marble Canyon area. Comparisons are absurd here but I think I liked the colors here the best. Being one of the seven wonders of any world, it should be obvious that the Grand Canyon is a designated UNESCO World Heritage Site. Since the construction of Glen Canyon Dam in 1963, the river flow is fairly regulated and this has changed it’s course dramatically. The water coming out of the dam’s bottom is a constant 46°F (8°C). 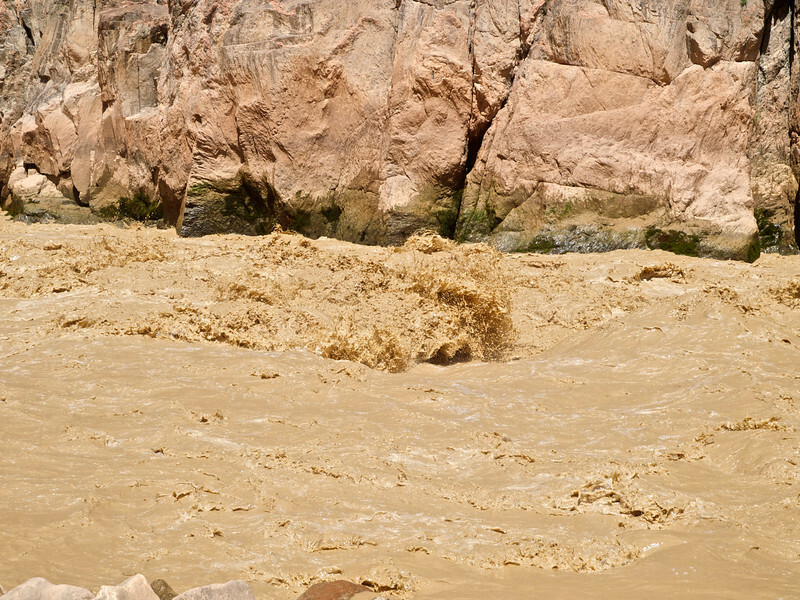 Today there are over 150 named rapids on the river with the largest drops comprising an adrenalin pumping 25 to 30 feet! Over the course of seven days which blew by too fast, we descended through (according to which geologist you read) anywhere from 0.8 to 1.4 billion years of the earth’s history! Our guides were extremely knowledgable of the geology and explained the various levels, how they got there, why some striations are vertical rather than horizontal, all in a user-friendly manner. Each day we would do at least one hike up a side canyon, usually terminating in a fabulous pristine waterfall where we could cool off and wash away the muddy river water (they don’t call it the muddy chilly Colorado for nothing). 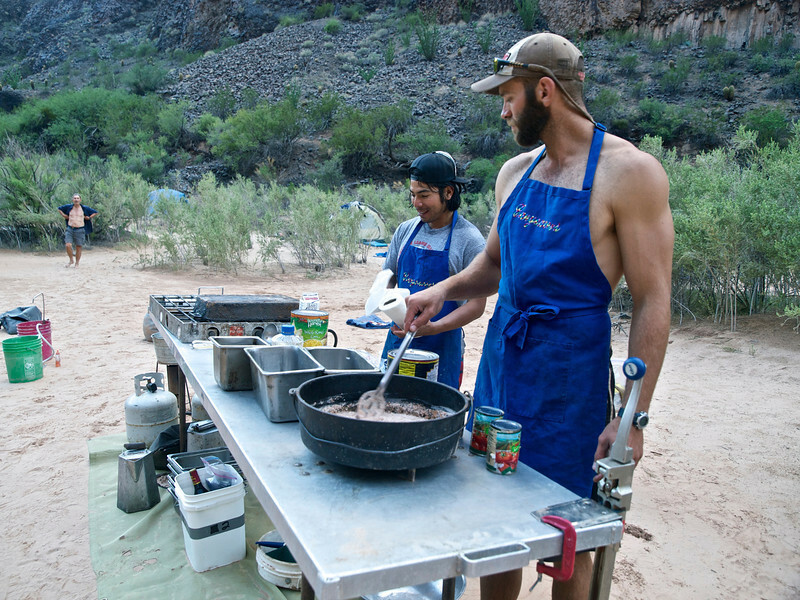 Drew and Omar, our guides, told us on day one that we needed to double whatever our normal caloric intake was. We obliged (there was no weight gain) and they prepared three fabulous meals and snacks for us each day. Some examples included prime rib, halibut fillets and New York steaks as dinner entrées. They can prepare tasty, balanced and nutritious vegetarian or vegan dishes by advance request. There was always a yummy fresh baked dessert. One night, Drew baked a German Chocolate Cake in a “camp size” dutch oven heated with strategically placed coals. It came out perfectly! Yes ladies, these men can cook (they clean too)! This would sound like a cliché anywhere else but this was truly a trip of a lifetime that we will always remember. As I write this I can vividly recall the sights, smells, tastes, textures and stories of the canyon. Thanks for coming along on this most brief recounting. Over the course of our seven day 278 mile journey, I shot 1,189 photographs with my Olympus E3. I finally edited them down to 476 photographs. It took two weeks on and off. I simply cannot bear to pare this gallery any further. With that caveat, if you have 20 or 30 minutes to spare you can view it here. 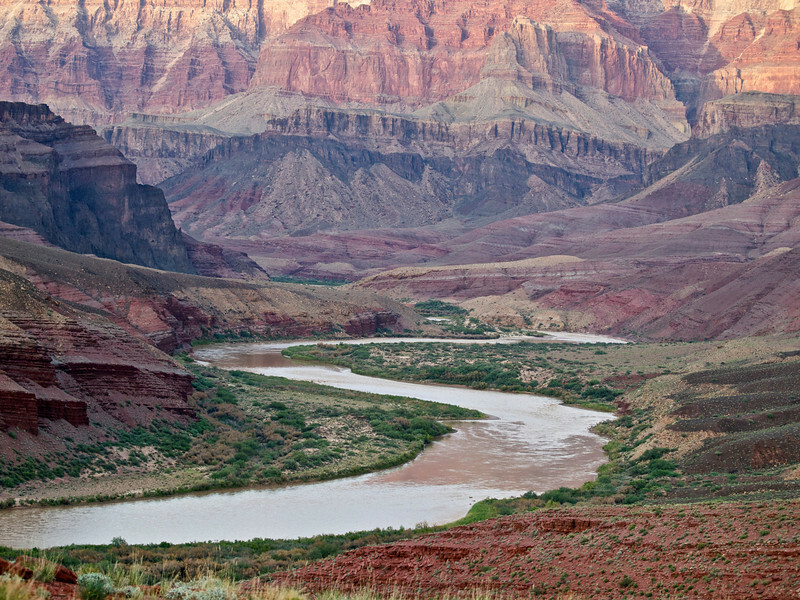 6 Responses to RAFTING THE GRAND CANYON! Thanks Linda. The hardest part was trying to decide what not to write about. I had enough notes to easily make the narrative 4-5 times longer. Wow!!! These are amazing photos Phil!!!! Your photography just keeps getting better and better- just gorgeous! Thanks Mindy. It is definitely a labor of love, and I did have a great canvas to utilize. Wow, and just Wow again! I’m so glad you do this blog. 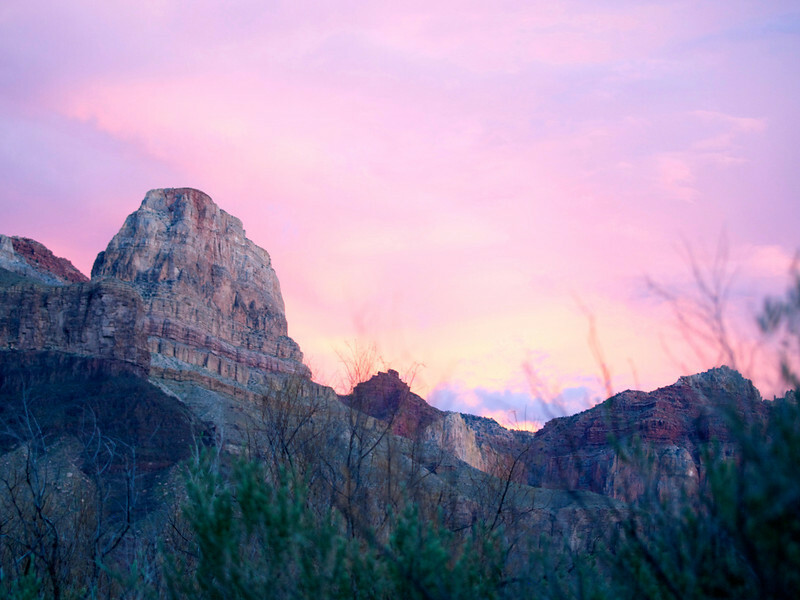 This is the GRand Canyon IU’ve never seen, anywhere else, and all of your adventures are adventures that are not the canned trouist trap stuff, I so enjoy your sharing this with us! Thank you so much for your kind words Scott. Coming from a very accomplished nature photographer, this is particularly meaningful and…well makes me want to write another post.